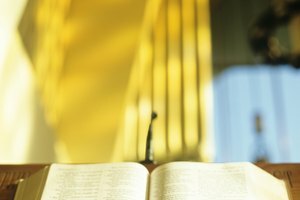 Why Do Methodists Light Candles in the Church? 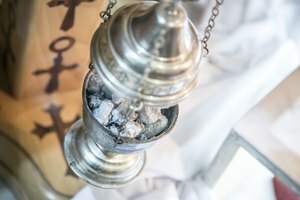 What Kind of Incense Is Used in the Catholic Church? 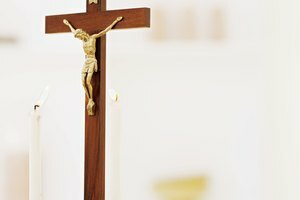 Why Do Catholics Light Candles in Church? Votive candle racks hold remembrance of prayers. A distinguishing characteristic of Catholic churches compared to other denominations is the large presence of candles. Catholics display candles for different purposes, including prayer, symbolism and memorials. Although candles are not a formal aspect of Catholicism, the tradition of lighting candles at Catholic churches is commonplace and adds beauty to the atmosphere. The main function of numerous, small candles in glass containers -- that are often displayed in racks or stands and known as votives or vigil lights -- is to maintain the intention of prayers, usually for a specific issue or person. Those who light them usually say a prayer over one candle at a time, and by keeping these individual candles lit for extended periods of time, the individual prayer is believed to be prolonged and amplified along with the intentions of other believers' prayers. This creates a collective spirit of prayer for the entire church that is comforting and empowering, because even when churchgoers leave, their prayers remain in the Church -- and then others may pray over the candles later. Catholics also use votive candles as a remembrance of the deceased, especially their loved ones. They light them specifically on All Souls' Day, usually November 2, for this purpose. Candles may also be lit on November 1 for All Saints' Day to honor every saint, remaining lit through All Souls' Day. 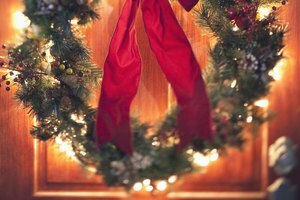 The candles may be lit in the church as part of an offering at an altar with other items such as flowers or mementos, but may also be lit at home altars or cemeteries. 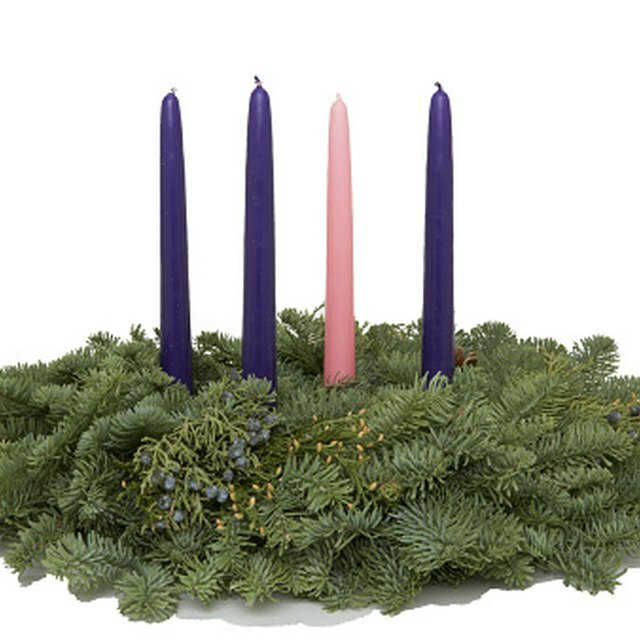 Candles are also lit in Catholic churches to symbolize the light of Christ and the Holy Trinity at liturgies, or official, ongoing worship services such as Mass. 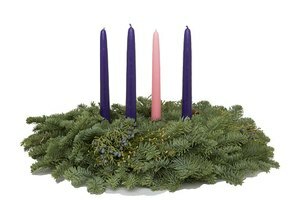 These candles are usually made of beeswax to symbolize the purity of Christ. The number and placement of candles to be lit at the primary church altar varies greatly depending on the specific occasion and type of clergy presiding over the Mass. Traditionally, candles must be lit before Mass begins, and they are not extinguished until after the service. Special occasions at Catholic churches are often marked by the lighting of candles, specifically at secondary or private altars set up for the special purpose, such as to honor a saint like Mary. These candles might be set up near statues of saints, and placed with other items like flowers or artwork. Altar candles may be votives or taller and longer-lasting candles also in glass containers. Candles lit for special occasions may be for small groups of people gathered to celebrate or worship, or as part of a liturgy for the whole church. Sacred Heart Catholic Church: Why Do We Light Votive Prayer Candles in Church? St. Michael's Media, Basic Training - Apologetics: Catholic Prayer - Why Do You Use Candles? Anna Windermere started her writing and editing career in 1993, upon graduating from the University of Florida's esteemed journalism school with a bachelor's in journalism. Ms. Windermere, a senior-level copy editor, has appeared in mastheads of newspapers and magazines as copy chief, writer and proofreader, including "Sun-Sentinel," "Miami Herald," "City Link," "New Times," "NewBeauty," "Luxe," "Florida Alligator," "Orange & Blue," and more. What Is Inside of a Roman Catholic Church? Windermere, Anna. "Why Do Catholics Light Candles in Church?" Synonym, https://classroom.synonym.com/why-do-catholics-light-candles-in-church-12084843.html. 29 September 2017. 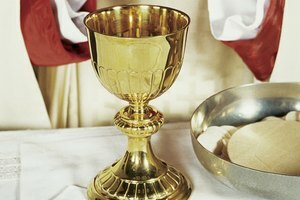 What Is a Wake Before the Funeral in the Catholic Church?